Personal injury claims and cases require extreme attention to detail. With many years of experience, John Critzos is resolute in negotiating and demanding the compensation that your claim deserves. Not being satisfied to make a quick, easy settlement, Mr. Critzos will aggressively fight for you and your needs. He will be steadfast in negotiating your settlement, or he will go to court if the insurance company refuses to offer fair compensation. 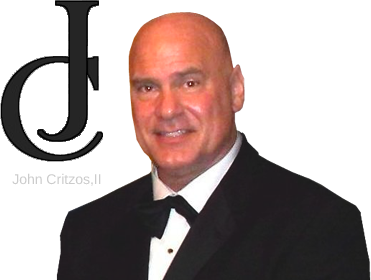 He is well known and has represented thousands of injured clients through many years in practice. Mr. Critzos is adept at navigating the medical and judicial hurdles that are unique to each claim. Your claim will be analyzed and John Critzos will advise you how to advance your case. John Critzos represents mostly traffic accident victims. He has successfully litigated injury claims for serious car accidents, motorcycle and truck accidents. Commercial truck accidents are complex and require experience, as do those accidents which occur with other commercial carriers. He is also adept at navigating the special issues presented by a bus or bicycle accident. Some extremely serious claims such as those in which the victim experiences a traumatic brain injury or spinal cord injury require patient, painstaking evaluation of eventual costs and losses in addition to normal claim issues to ensure that adequate compensation is received. Each serious injury claim is unique and must be evaluated to determine what damages should be included for compensation. The crucial circumstances surrounding the injury, the accident, including evidence which will support your case, should be carefully analyzed as soon as possible. In many claims, negligence is clear cut and therefore liability is clearly and easily established. More intricate cases sometimes require the aid of an independent accident investigator or other professional to help establish the negligence of another party. Throughout his many years of practice he has developed a compelling, persuasive cadre of professionals who aid him with these intricate issues and whose assistance is invaluable. Any injury case requires a top-notch legal team that will devote an appropriate level of focus and commitment. The victim of these injuries will expect long-term medical consequences and treatment to be taken into account and provided for. His only concern is for his clients and he will take the case to court if the insurance company involved is unwilling to adequately compensate the victim. His goal is to aid the client and favorably negotiate their claims. Mr. Critzos has many years in practice and a track record of many successful clients. He will work closely with you to get the results that you deserve. Contact a Maryland personal injury lawyer from the firm for immediate assistance with your injury case.